Moving can be a stressful and costly time- especially when you’re in between rentals. From packing and moving to securing your deposit, there’s a lot to think about. Here are 10 ways to make your experience the best move possible. From fix-it tips to impressing your landlord on your final walkthrough- we’ve got you covered! Always make sure you are taking photos of your new rental as you move in, and document any imperfections you notice, so that you’re covered when you move out. Don’t forget to take photos as you move out too. Read through your lease at the beginning of your moving process to see what your landlord or property manager expects of you when you move out. 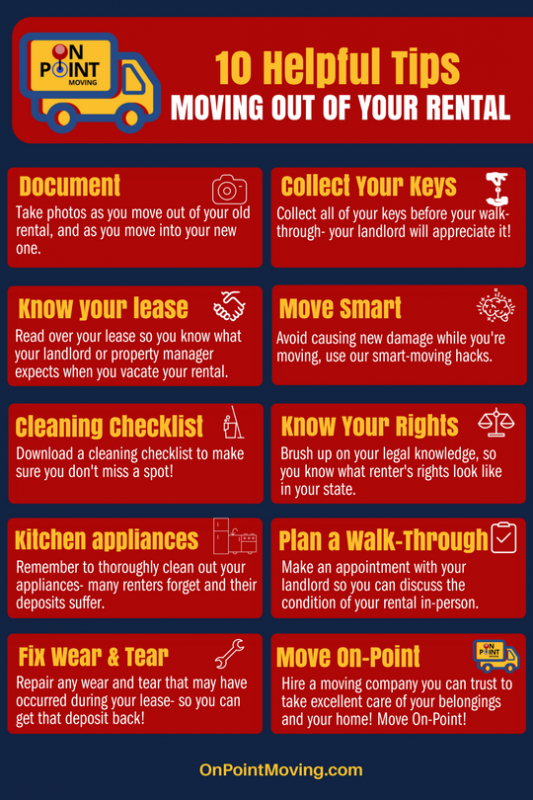 Many property management companies will have a move-out checklist so you’re ready for your final walk-through. Download a sample cleaning checklist to make sure you’ve hit all the marks and your rental is ready for inspection. Don’t Forget Your Kitchen Appliances! Many renters forget to thoroughly clean their appliances- and their deposits suffer. Make sure you clean inside and around your appliances (ie. under and around your refrigerator and stove). Ice cubes will take out dents that your furniture may have left in your carpet. Take out tough carpet stains using: 2 parts water, 1 part hydrogen peroxide, and a splash of lemon essential oil. Fill holes in your walls with patching putty (or even toothpaste). Just make sure you paint over them evenly! Be sure you collect any keys that were given to you when you moved in, and have them ready for your final walkthrough. Your landlord will appreciate this. Use careful techniques as you’re moving so you don’t damage anything during your move. Pro tip: wrap a rubberband around your hammer as you remove nails- this way you won’t scuff up your walls! If you have any hazardous materials to move, make sure you know how to properly move these items. Brush up on your legal knowledge! Understand your state’s renter’s rights as you move in and out of rental properties. This will protect you and your wallet as you go through move-in and move-out processes. Make your move On-Point! You can trust us to take the best care of your belongings and rental spaces- we’ve got the skills, equipment, and experience to make your move as stress-free as possible. 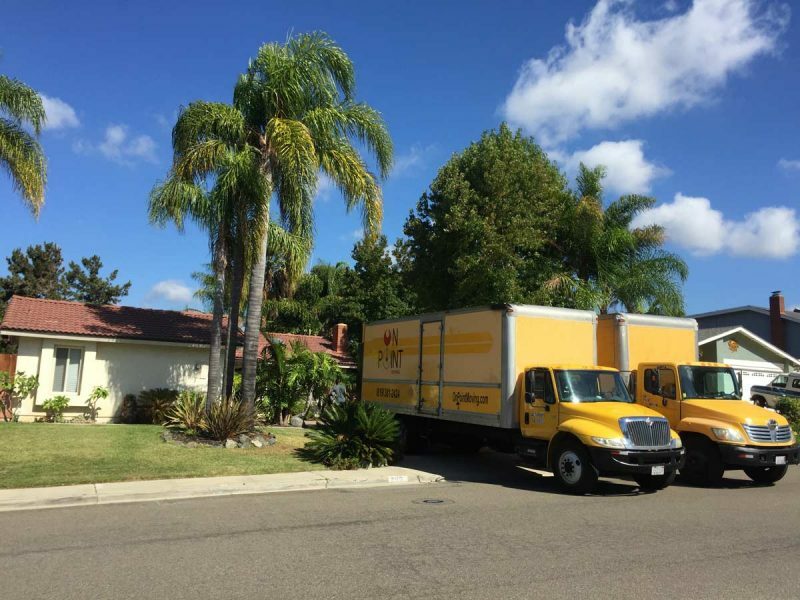 ON POINT MOVING is a veteran owned and operated moving company based in San Diego- providing a wide range of services from local San Diego County moves to long distance relocations to Northern California. Each residential move or commercial move is tailored to a customer’s specific needs and moving services from DIY to Full Service moves are available.